- It enables its users to create and post short video clips. The maximum clip length is six seconds and can be shared or embedded on social networking services such as Twitter and Facebook. 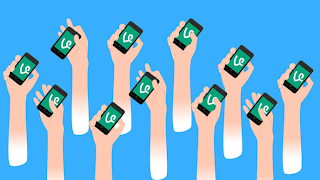 - Vine was initially only available only for iOS devices; it has now been introduced on Android and Windows Phone. - Founded by Dom Hofmann, Rus Yusupov, and Colin Kroll in June 2012. Twitter acquired it October 2012. - Vine became the most used video-sharing application on the market. I first downloaded Vine in March 2013. I found the videos posted by others to be funny and I mainly used the app as a source of entertainment. My younger brother introduced me to it as he was already a Vine expert, and was 17 at the time. For everyone in high school Vine was old news. After I realized I was the star of most of my brothers most popular Vines (not with my consent). I decided I would get revenge and make my own Vines. Mine never were as popular as his, but he did have about every high school student in Brantford following him where I have a solid 20 followers on Vine. It wasn't until I was assigned a social media project where we randomly selected Vine as our application that I realized how useful Vine is for businesses. · Vine is a fun way to engage a younger audience. 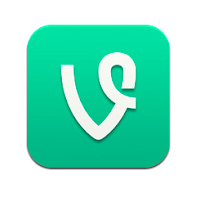 · Vine users find it mesmerizing. · Products can be strategically placed in the video. · Companies can hold best vine video contests that feature their products. · The opportunity to extend your brand’s reach is limitless on Vine. · 5 tweets per second contain a Vine link and a branded Vine is 4 times more likely to be seen than a branded video.